The PSMAF150 series of AC/DC medical power supplies provides up to 150 Watts of output power with 10CFM forced air and up to 110 Watts with convection cooling in a compact 2 x 4 inch footprint. These supplies feature a universal 85-264VAC (120~370 VDC) input, enabling them to be used anywhere in the world. The off load power draw is less than 0.3 Watts, which complies with many energy-saving initiatives. 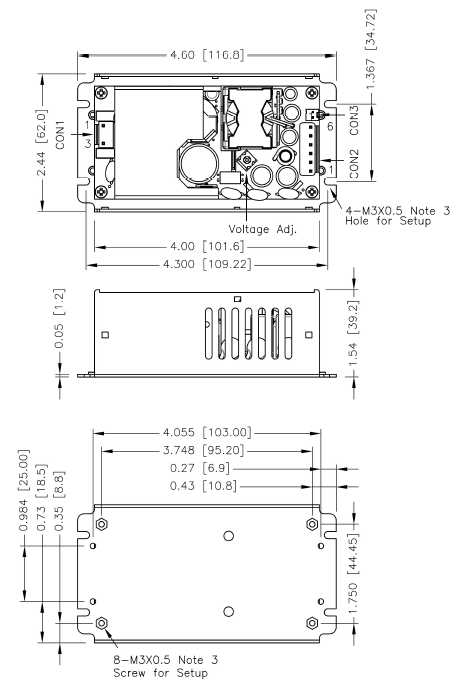 12V, 15V, 18V, 24V, 28V, 36V, and 48VDC single output voltages are available for this series, all of which have a ±10% adjustment range. These supplies also feature a low leakage current of less than 100μA at 264VAC and are designed to withstand 4000VAC, input to output. The PSMAF150 series has an operating temperature range of -25°C to +80°C, power factor correction, and a high efficiency up to 92%. These supplies are also protected against short circuit, over voltage, and over current conditions. 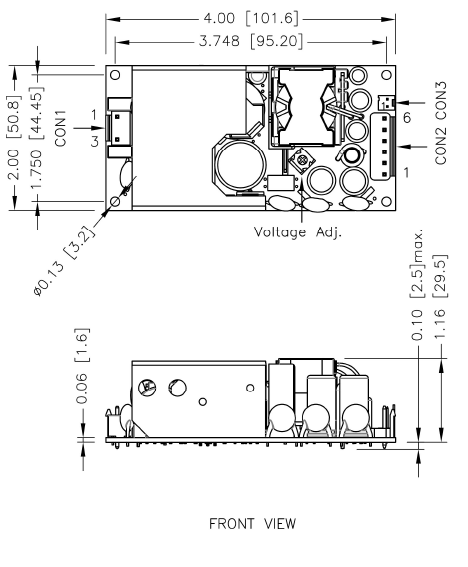 The PSMAF150 series has ANSI/AAMI ES60601-1, EN60601-1, and IEC60601-1 3.1 edition medical approvals, are CE Marked, are designed to meet Efficiency Level VI and meet the conducted and radiated EMI requirements of EN55011, EN55022 and FCC Part 18. 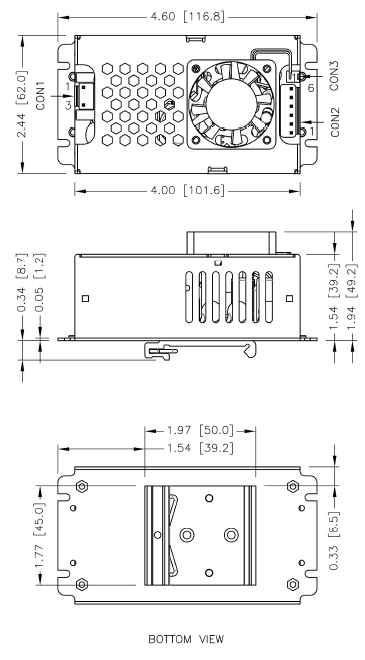 Open frame, U-chassis, enclosed case, enclosed case with external fan, Din Rail and DIN rail with external fan mechanical options are available. Class I and Class II protection types are also available. Notes: 1. The “X” in the model number represents the package type. 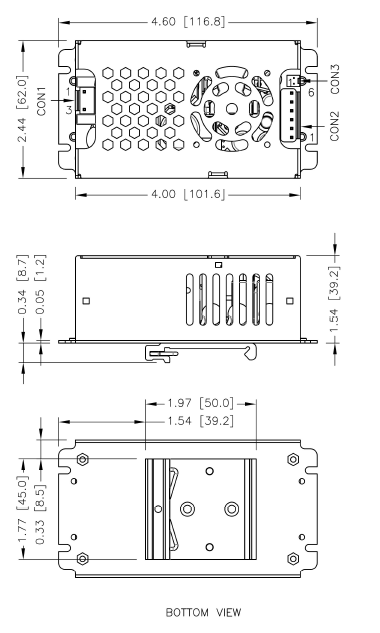 It can be “O” for open frame, “U” for U-chassis, “C” for enclosed case, “F” for enclosed case with external fan, “D” for DIN rail or “DF” for DIN rail with external fan. 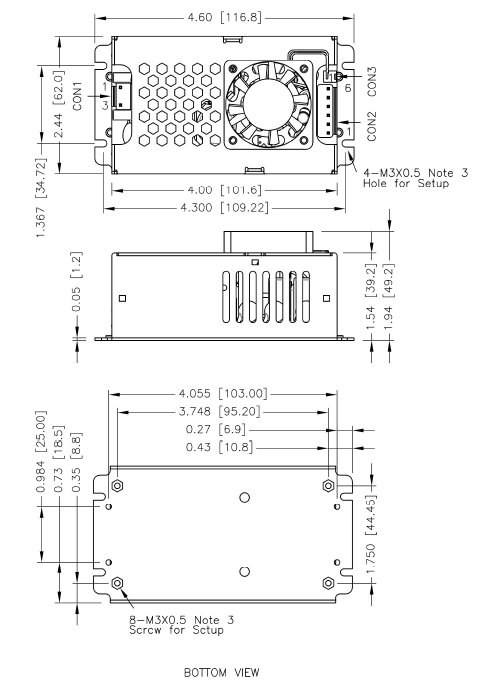 DIN rail is only available for enclosed case type models. 2. 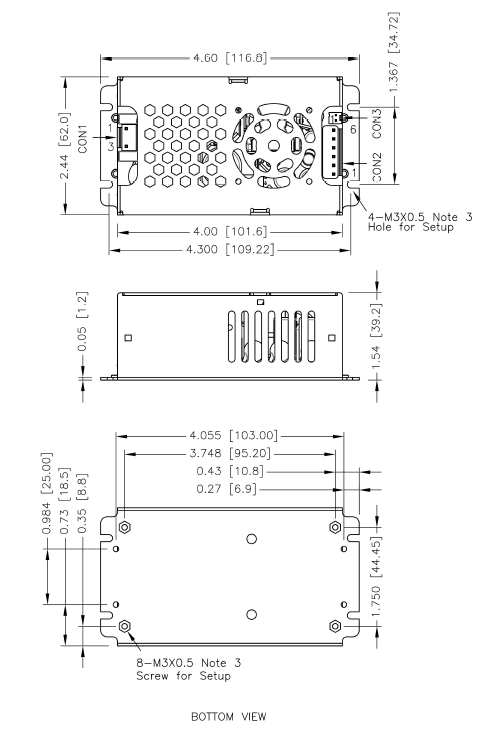 Class I and Class II protection types are also available for this series. Class I comes standard and for Class II add the suffix “B” to the model number. 3. External components may be required for class I application.